David “Davie” Stanley Davison of Clearwater, BC passed away peacefully on January 29th with his family by his side. Davie was born March 3, 1936 in Lone Pine, AB. In 1943, at the age of 7, he and his family moved to Clearwater, BC. It was here that he met the person who would become the love of his life for 58 years, Lorraine. Together they started their family. From this time forward, he gathered the many memories and stories that he continually entertained his grandchildren with. 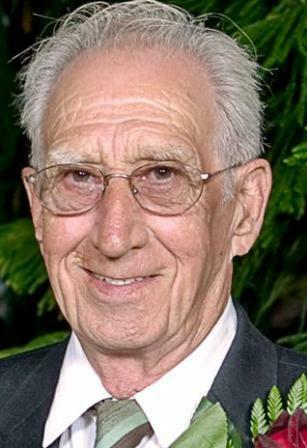 Davie worked for Clearwater Timber Products/Slocan for many years until he retired in 2001. He drove fuel truck and was a grader operator. David will be remembered, by all who knew him, as one of the most loving and compassionate men in their life. The door to his home was always open for visitors, fellow band members, and friends that needed support. Davie and Lorraine’s extended family grew because of their continued hospitality. He was a social man, actively serving in the Lions Club for many years, and was always happy to lift your mood with a joke, a smile, or a ‘hello’. Davie was an avid fisherman, he loved to camp with his family and he enjoyed rock hunting. But, his greatest passion was for music. 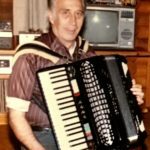 He will always be remembered for the joy he brought to everyone while he played his accordion. And for many years he was a member of the Trophy Mountain Boys. He enjoyed playing for the residents of Forest View Place, where he eventually became a resident. He was cared for there until he passed. It is with heavy hearts that we say goodbye. Davie was an amazing man, loving husband, devoted father and incredible grandfather. His song will forever play in our hearts as we share stories about his love for music and the many lives his kind heart touched. He will be greatly missed by so many. David is predeceased by his father and mother Stanley and Nellie. Dave is survived by his loving wife Lorraine, daughters Donna and Debbie (Wade), grandchildren Rikki (Luis), Blair (Lorien), Troilene (Tyler), and Brooke (Josh), 9 great grandchildren, brother, Arthur (Ruth), extended family Lorraine (Terry) and Whitney (Thommy), and many nieces & nephews, friends & relatives. In lieu of flowers, the family would be pleased if you would consider a donation to Forest View Place in Clearwater, BC. A Memorial service will be held at a later date. Condolences may be sent to Drake Cremation.com. Our sincere sympathy. Our thoughts are with you. Condolences to Dave,s family, he always upbeat with a smile. Davie is free at last from all pain……my symphaty to all the family ! May he RIP. Lorraine and family : Our condolences to you and the girls , may you find comfort in your memories , may he rest in peace.